The only time when hacking is a good thing. Eaten in the morning with berries and honey or molded into a fresh panna cotta, yogurt is one of the most versatile foods you can find in your fridge. The yogurt section in the grocery store is practically exploding with various types, flavors and packagings of all the creamy goodness that is yogurt. 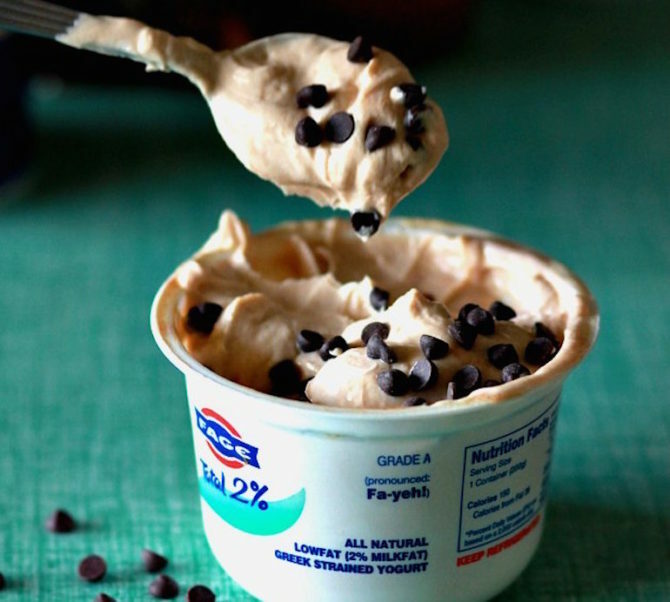 Even if you’re a yogurt lover, it gets a little boring just simply spooning it into your mouth, so here are a few hacks to make your yogurt-eating experience a little more interesting. You’d think finger painting is irrelevant to our generation, but there’s nothing quite like dunking your figure into puddles of hues and tarnishing a perfectly white piece of paper. What could possibly make finger painting better? 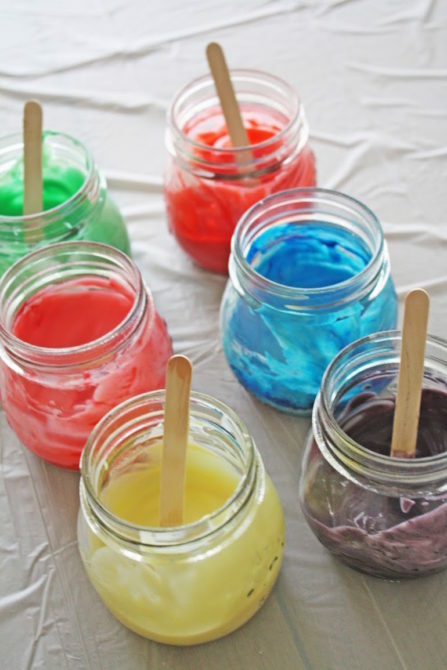 How about some edible finger paint. Thanks to yogurt’s smooth texture and natural and edible dyes, you can easily create your own batch of delicious finger paint. Not that it needed to or anything, but funfetti cake mix just got better. 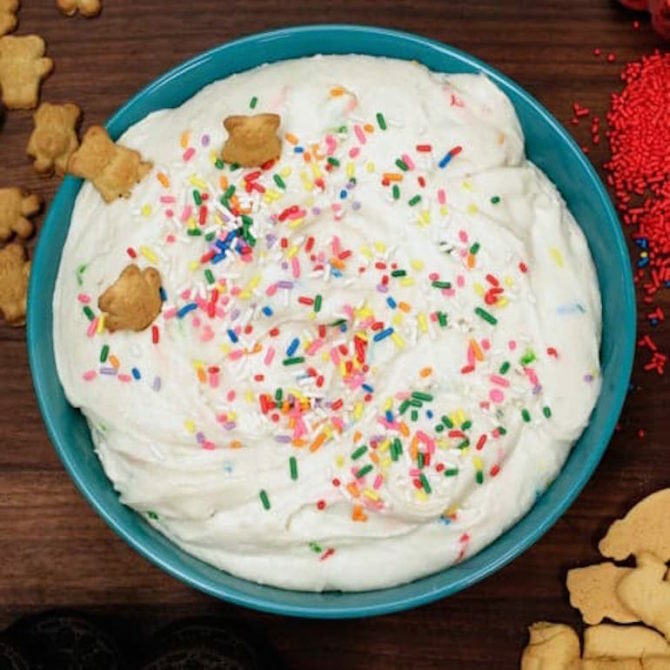 For your next snacking venture, add some cake mix into your greek yogurt to make a sweet dip for some graham crackers. With all due respect to Kraft’s mac & cheese, it’s not the healthiest meal out there. 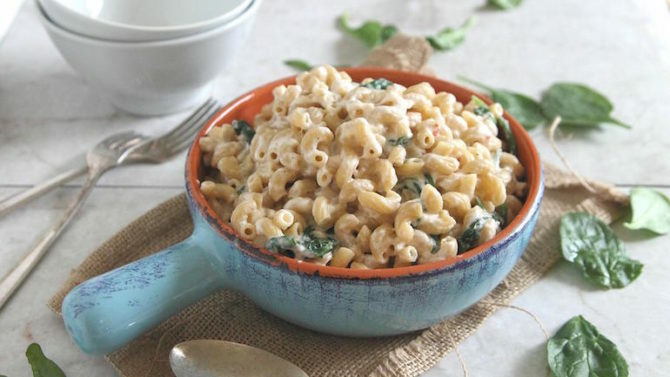 Next time you’re craving some cheesy noodles, try making it at home by adding greek yogurt to get the creaminess you need without the milk and butter. Throw in some actual cheese and you have yourself a healthier alternative to satisfy your craving. Your ultimate go-to breakfast meal is here. 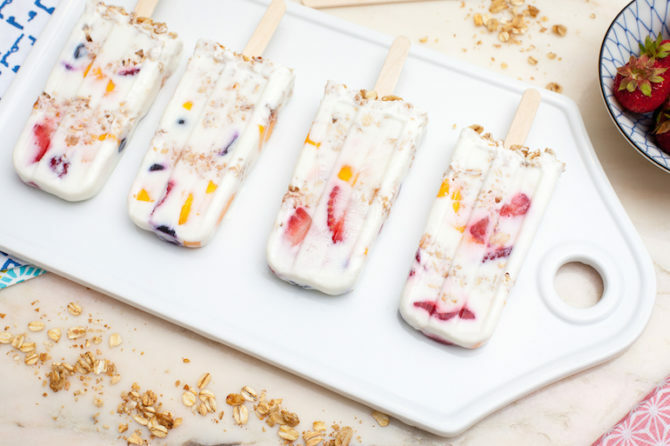 You’re getting your fruit, dairy, protein and carbs all in one cold and delicious pop. It’s basically eating ice cream for breakfast. It’s always a little weird to think about something edible also being used to clean things (i.e. baking soda), but yogurt does fit under this category. 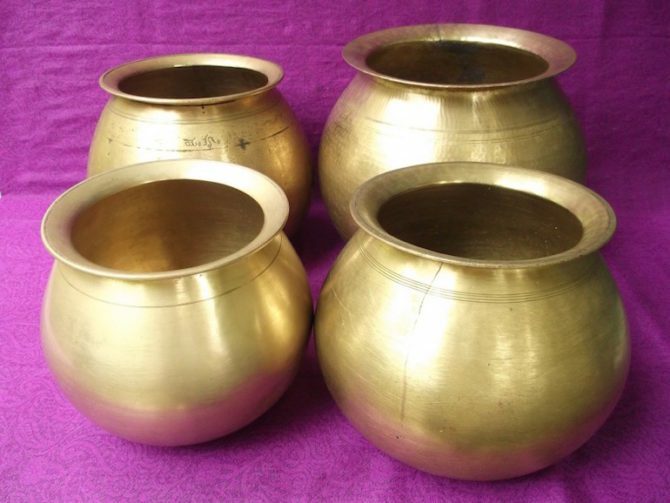 If you have some tarnished brass laying around, use a cloth and some plain yogurt to get it all new and shiny again. It won’t taste like the cookie dough from a Nestlé’s tub, but it’s close enough and a lot healthier for you. With a little addition of nut butters and sweeteners, it’s an easy way to use up your plain greek yogurt and to satisfy your cookie dough needs. 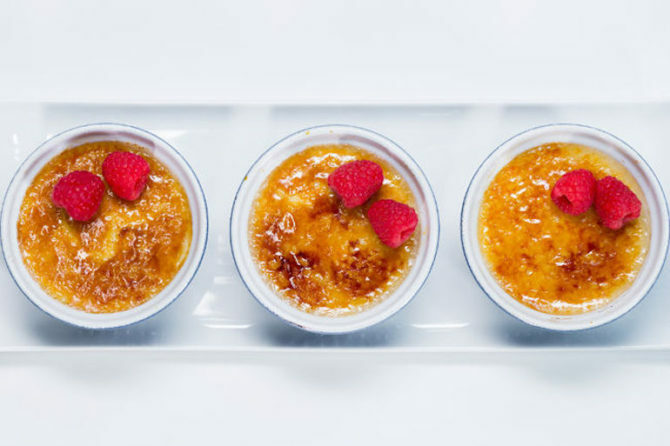 Instead of your morning eggs and toast, how about a nice brûlée for breakfast? It’s no crème brûlée, but most of you probably don’t want to fill your empty stomachs with something so decadent at the start of the morning. This recipe is the perfect compromise and a creative way to dress up your cup of yogurt in the morning. Even though you’ll be missing the crème, you’ll still get satisfaction of shattering that crystallized layer of sugar atop the creamy yogurt. 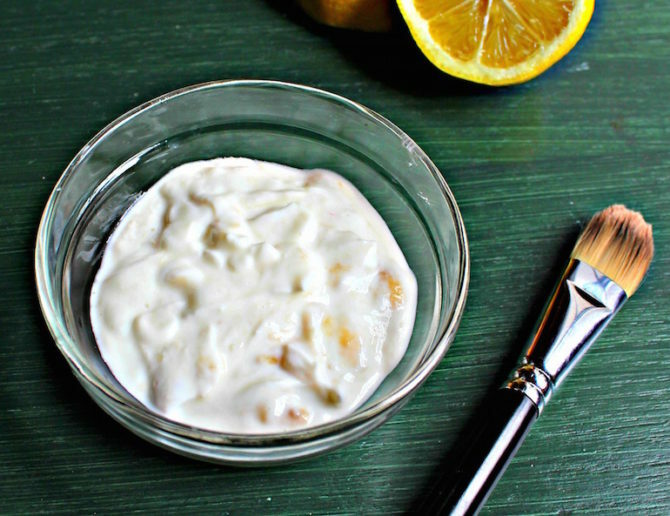 If you need a little refresher, add a squeeze of lemon and honey to any kind of yogurt for a facial. Applying a layer of yogurt to your face can help get healthy bacteria to your skin and give your skin the nourishment it needs. 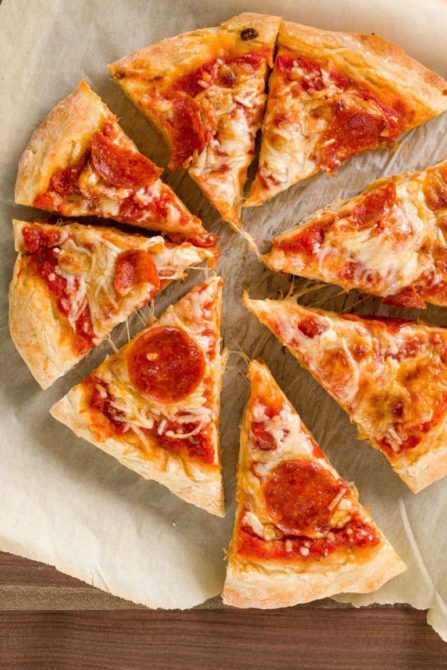 Greek yogurt, self-rising flour and ten minutes of oven time can get you a puffy, golden-brown crust that you can cover with all your favorite toppings. It won’t taste like yogurt if that’s what your worried about. If you’re looking for a moisturizing, cleansing and nourishing product for your hair, look no further than your own fridge. 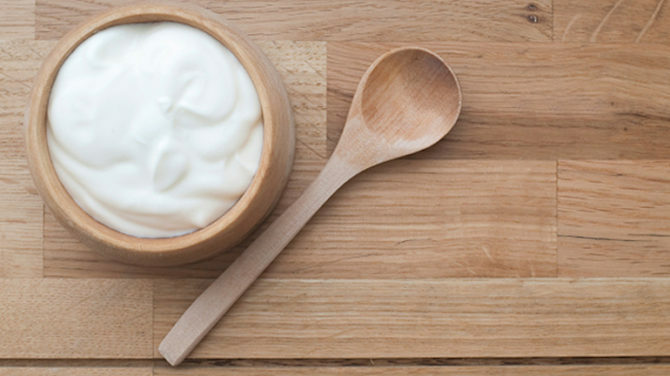 The lactic acid, probiotics and protein in yogurt are all great for giving your locks and scalp the love that they need.